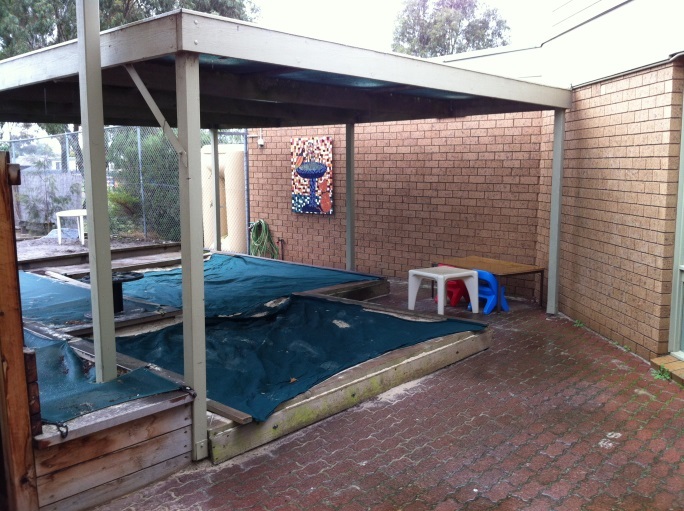 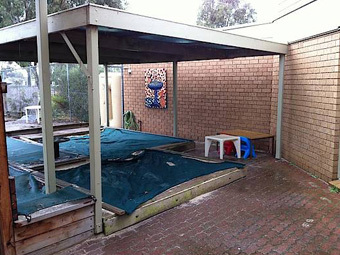 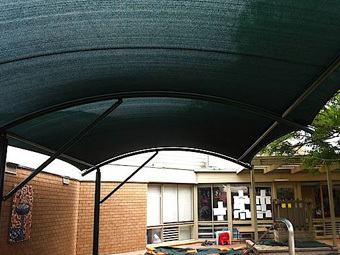 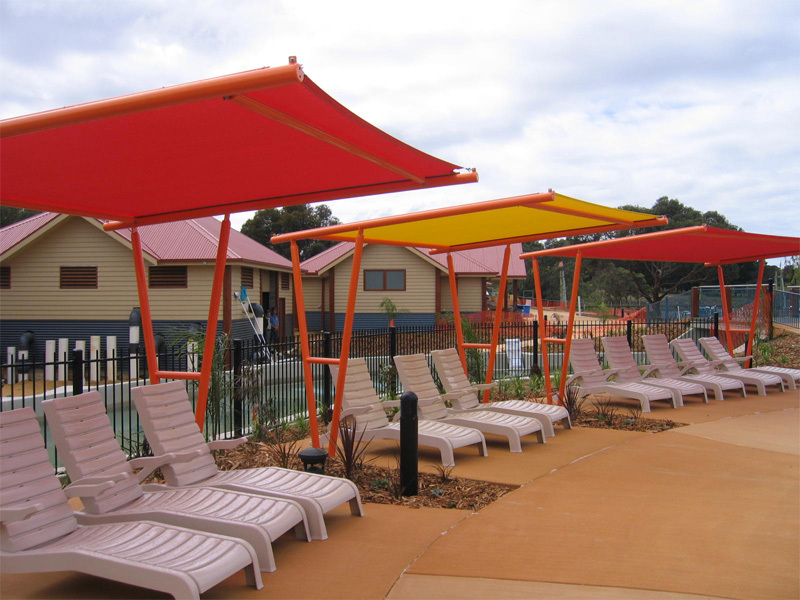 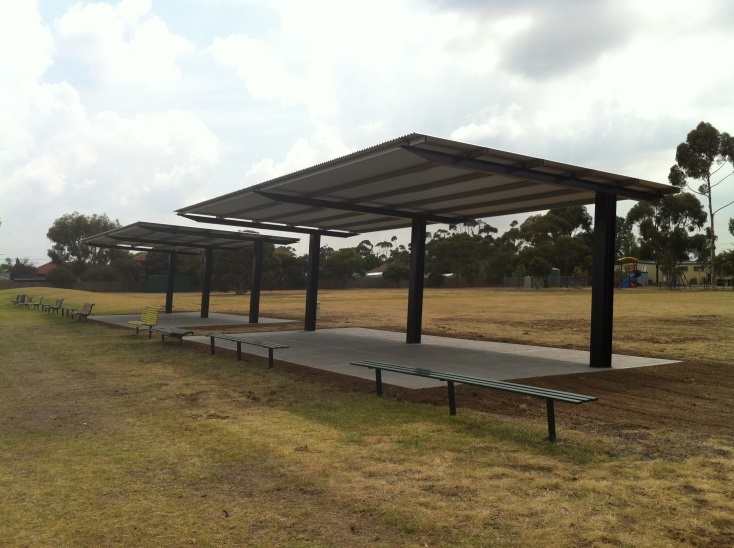 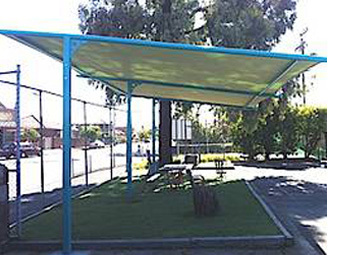 Our Cantilevered Shade cloth and Hard Roofed structures are a great solution when there is either no room for posts or they just would be in the way. 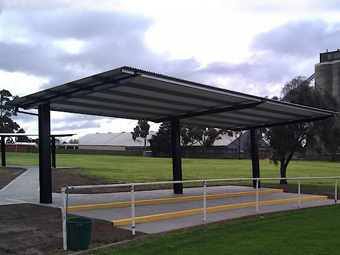 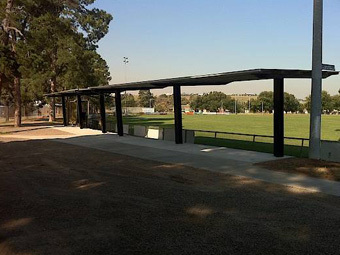 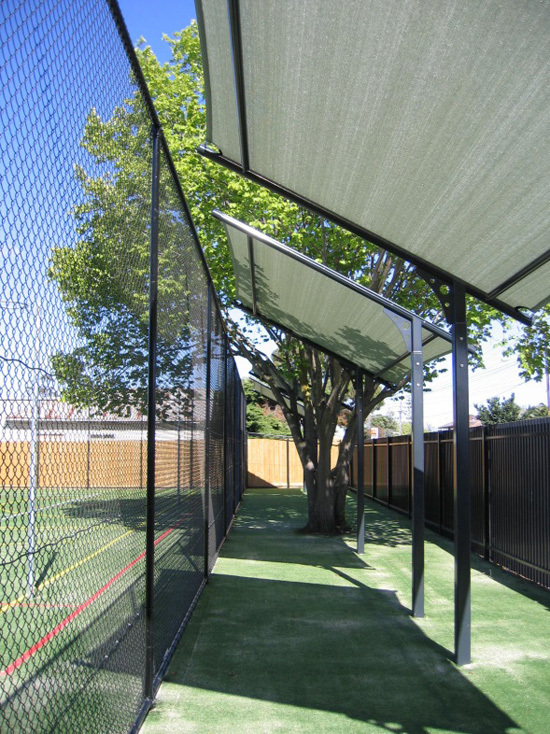 They are ideal for sporting reserves, where spectators can watch their favourite sports while being protected by the sun and sheltered from the rain. Also ideal for smaller areas over seating or car parking spaces, they also make an attractive option around pool areas. 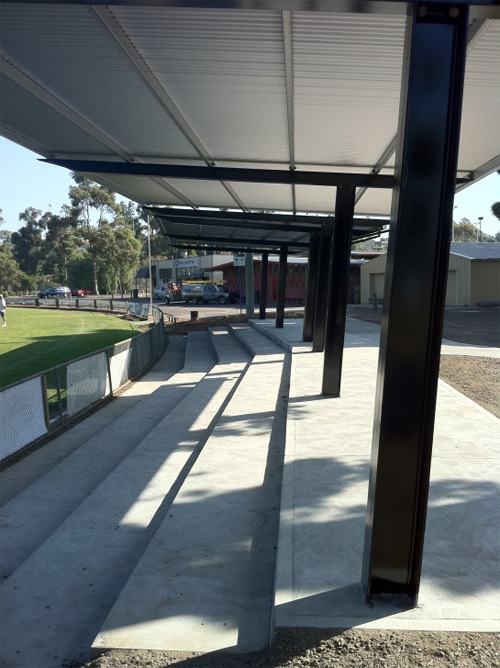 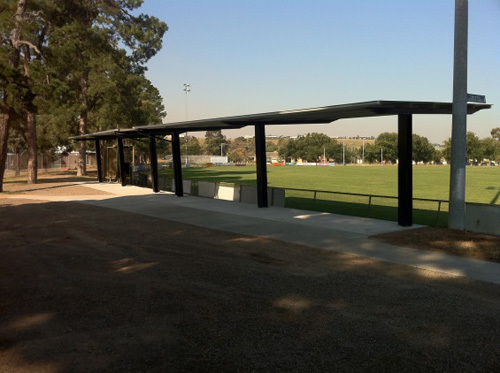 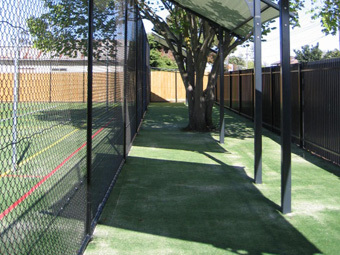 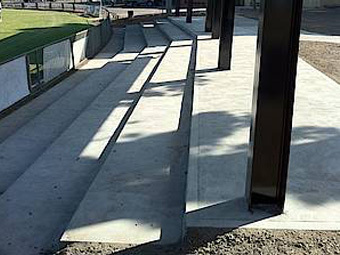 These cantilevered structures are installed at St Albans College outside there basketball court area. 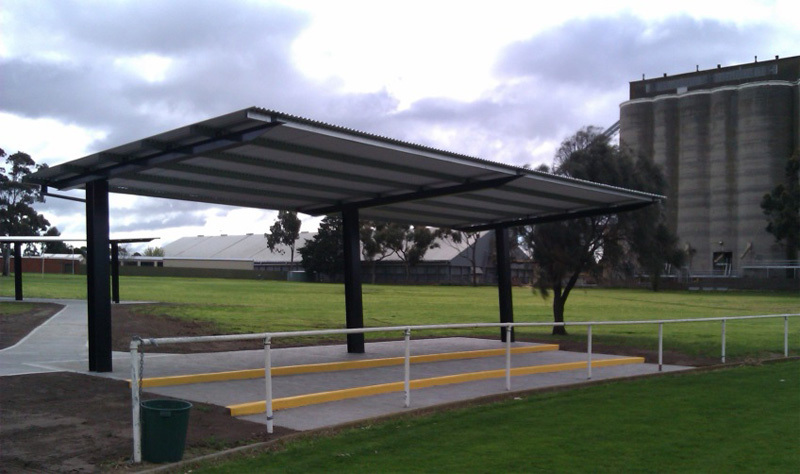 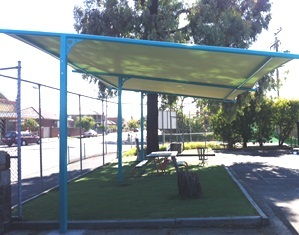 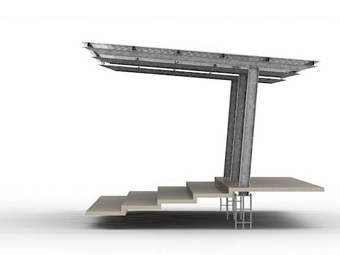 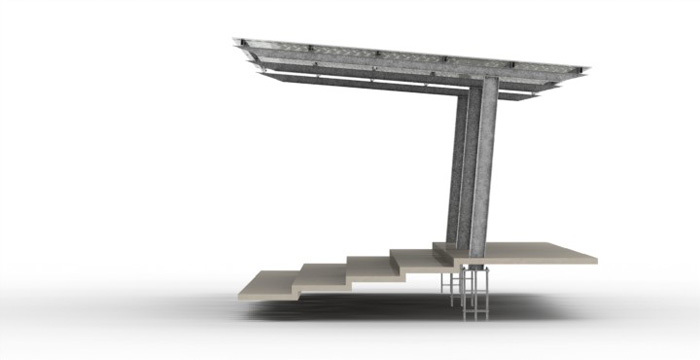 These structures provide shade for their students while cheering on their fellow students playing basketball.